"If I find out that somebody is abusive, I cut them out of my life. It's very easy." Lucy DeCoutere, a central witness in the sexual assault trial of Jian Ghomeshi, has resigned from the "Trailer Park Boys" show after a castmate was charged in a domestic dispute. Mike Smith, who plays Bubbles in the Netflix show, was arrested and charged with misdemeanor battery in Los Angeles on Friday. 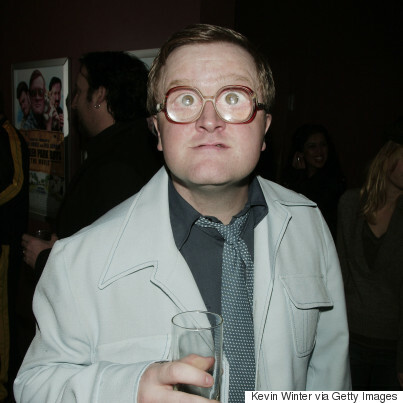 A day later, "Trailer Park Boys" issued a statement in which Smith denied the allegation that he had choked a female friend in a bathroom at Hollywood's Roosevelt Hotel. "The other members of the Trailer Park Boys and all staff stand behind Mike and look forward to the matter being resolved favourably," said the statement from the production. However, it appears that DeCoutere did not agree with the declaration of support. A few hours later, she publicly announced her resignation from the TV series. She confirmed that her decision was directly related to Smith's arrest and charge. If I find out that somebody is abusive, I cut them out of my life. It's very easy. She testified against Ghomeshi, a former CBC Radio host, and accused him of attacking her during a date in 2003. He was acquitted last month on four counts of sexual assault and one count of overcoming resistance by choking. The Ghomeshi case has generated an intense national debate on how Canada's justice system deals with sexual abuse complainants. On Saturday, Smith spoke out about the L.A. incident, along with the alleged victim, Georgia Ling, through statements released by the "Trailer Park Boys." "Georgia is a friend of mine and we had a loud and heated dispute. That is all. At no time did I assault her. I am not guilty of the misdemeanour charged against me," said Smith. DeCoutere said she had spoken to both Smith and Ling before resigning. However, publicist Shelia Roberts told CBC News in an email that the show's producers knew a few weeks ago that DeCoutere had decided not to participate in another season. The 10th season of "Trailer Park Boys" recently debuted on Netflix.